Enduring the weather in the Las Vegas deserts is a challenging experience. Even after a time, folks that move into Sin City rarely get use to it. Saving money is always a welcomed blessing and many also are looking for ways to do so and go green whenever possible. Programmable thermostats are a beneficial commodity to help you do so. Air Supply Heating and Air Conditioning have been servicing the local commercial buildings and residential homes for quite some time. Our professionals have accumulated over 50 years of combined experience and are passionate about keeping you as comfortable as possible while enduring our scorching summers, and chilly winters. Thermostats are a common contributing factor to your HVAC system not running efficiently. 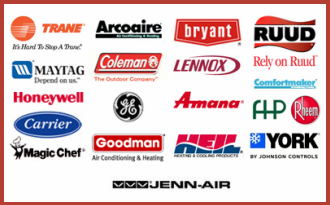 The specialists at Air Supply Heating and Air Conditioning have the expertise for thermostat upgrades, thermostat repairs, thermostat installations, thermostat troubleshooting and know the ins and outs of most models on the market. 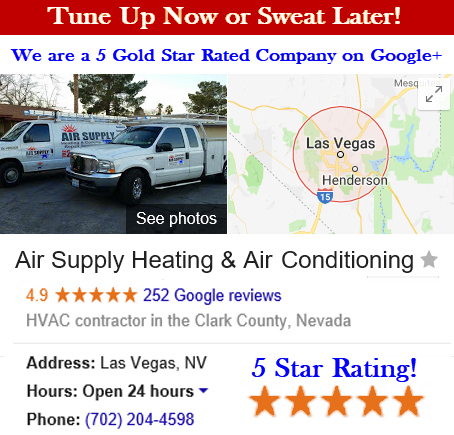 If you are experiencing any trouble we happily provide thermostat services in Las Vegas and surrounding areas. Thermostat upgrading or installation can be just what you need to take advantage of the programmable thermostats available. Programmable thermostats help you preset optimal temperatures throughout the day. For example, setting the perfect temperature in accordance with the season for when you are home. Adjustments can be made automatically while you slumber, or when the house is not occupied for longer durations. You won’t have to remember to make the adjustments it will do it for you. Not only can this help your utility bill stay in check, but your HVAC system will run smoother and more efficiently. There are many programmable thermostats that are equipped with features for vacation settings, weekends, filter change alerts and other safety features. Our professionals can help you pick the best one within your budget that can best suit your needs. Many are tempted to install the new thermostat on their own. Resist the impulse for safety sake. Thermostats are either low voltage or high voltage, and a trained professional from Air Supply Heating and Air Conditioning knows the appropriate voltage that is designed for your HVAC system. Thermostat repairs are not a problem with the expert crew members at Air Supply Heating and Air Conditioning. It has been our experience, that when an air conditioning or furnace doesn’t seem to be their duty, it is actually due to a malfunctioning thermostat. Like any appliance, gadget or device, wear and tear can create minor malfunctions from occurring. Air Supply Heating and Air Conditioning know thermostats well and can locate and repair the problem, quickly and thoroughly. In our bi-annual HVAC system maintenance and tune up services, the thermostat receives a detailed inspection to help avoid the need for repairs or replacement. If you find you are in need of thermostat repairs, however, flip through your contacts on your smart phone and call Air Supply Heating and Air Conditioning to help you get back on your way. 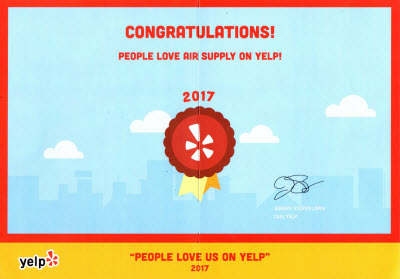 Air Supply Heating and Air Conditioning team specialists, not only possess the experience and expertise to help you with your thermostat services, but we also utilize high quality tools, equipment and products to keep us the best in the business. 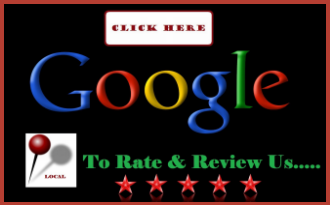 We have all necessary credentials and look forward to adding more satisfied customers to our valued clientele base. Call us today for your thermostat services!